When it comes to sausages, and other meat-based products, you can’t beat making them from scratch. It’s not only a cheaper, more straight-to-the-point way of making these delicious treats, but it’s also a fantastic way of creating unique sausages that fit seamlessly into your dietary needs. Sure, buying sausages straight from the supermarket might seem like the easiest idea but when you do that you can only buy what’s already being sold, which is usually limited to a couple of types of meat and you have no way of verifying its quality. Making sausages at home, on the other hand, let’s you not only keep an eye on every step of the sausage-making process but it also lets you choose exactly what goes into them, giving you the ability to make pork, veal, chicken, turkey, beef and many other kinds of sausage. Making sausages at home is easy, you just need ground meat or a meat grinder, and a sausage stuffer. Today, we’ll be focusing not only on what to look for when looking for a sausage stuffer but also the best sausage stuffers in the market. No matter how cheap a sausage stuffer is, it can cost you greatly if it doesn’t have safety features. Make sure they have something to bolt them or clip them to your table or counter to maximize their stability, and if they’re electric stuffers, makes sure they have an auto shut off function. In fact, make sure to read on all the safety measures each sausage stuffer you review has and strongly consider them your number one priority. Sausage stuffers do need some maintenance, but how much depends a lot from product to product. This not only means washing and storing, but also how easy it is to find and replace parts and whether fixing the machine itself should it stop working is a possibility. 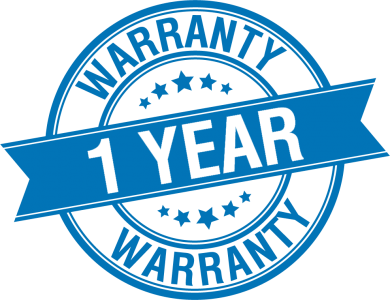 We highly encourage going for sausage stuffers from big name brands or, at the very least, brands that sell replacement parts with the same ease as the machine itself. If you’re willing to go a step further, go through forums or review sections and see what people have to say about how the machine performs, whether it breaks often or not, how customer service treated them, etc. And always, always, keep in mind whether the machine comes with a guarantee or not. All sausage stuffers come with a variety of stuffing nuzzles that you can use. However, they vary in size and number so make sure you research what kind of tube you’re going to need to create the sausages you want before purchasing anything. If the stuffer you’re considering doesn’t have the necessary stuffing tube, don’t strike it out of your list just yet. Look for whether the manufacturer sells extra stuffing tubes and see if those fit your needs better. While all sausage stuffers are made for the same purpose, they’re not all alike. Some can offer other functions that you can use in your kitchen. Take meat grinders with sausage stuffing tube attachments, for example. They might not be actual sausage stuffers, but they can grind meat that you can use in a variety of recipes and can stuff sausages, making them a great choice for those trying to get the most bang for their buck. Of course, if what you’re looking for is a strict sausage stuffer then versatility might be a little hard to find, but keep in mind that some stuffers actually grind meat as well, so look for stuffers that offer a little extra. In the world of meat products, few brands are as well-known as LEM, and with good reason! 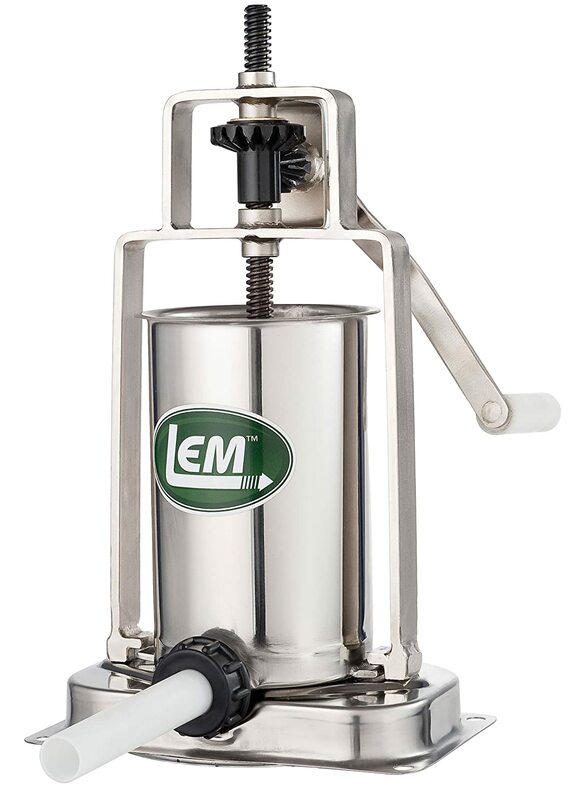 LEM’s products have always been high in quality and it shows with this fantastic vertical sausage stuffer. Made with a high quality stainless steel base and body, which allows for easy cleaning and sturdiness, this stuffer is perfect for those who’re serious about sausage stuffing. It has removable parts that make cleaning a piece of cake, at least compared to other stuffer, and comes with three different kinds of stuffing tubes, which will give you the ability to create a variety of sausages for just about any situation. Though the quality is practically industrial, the size is not, which makes this machine better suited for small-scale operations, such as home or small restaurants. The nylon stuffing tubes allow you to fit up to 4ft of casings and are replaceable in case you lose one, which will save you a lot of time in the kitchen. While cleaning and stuffing is easy, filling this machine can be a little challenging, particularly if you don’t know what you’re doing. You should also keep in mind that this machine comes with two security clamps to keep it in place, which may be more of a con than a pro if your counter wasn’t made with that in mind. 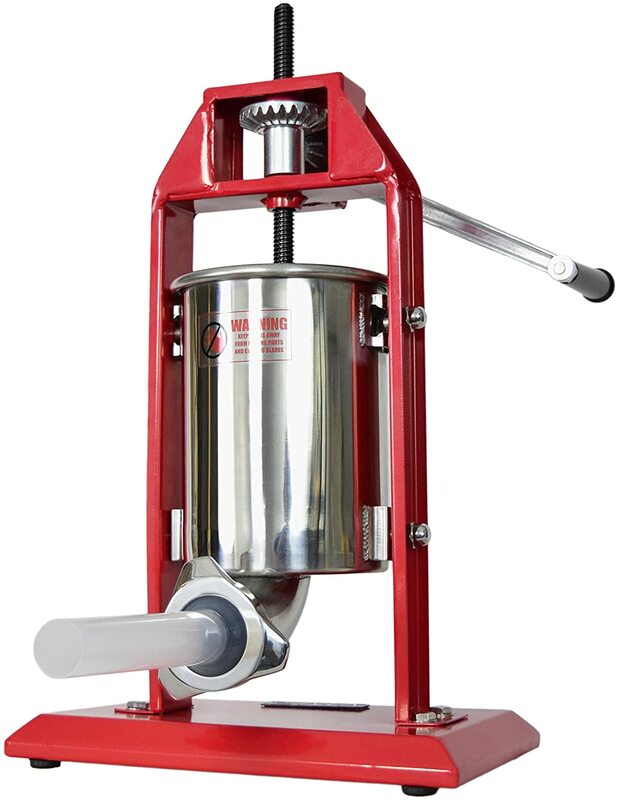 If you’re a fan of old school sausage stuffers and prefer horizontal machines to today’s vertical ones, the Hakka sausage stuffer is perfect for you. Built solidly with high quality stainless steel, this machine is one of the most stable out there, and the fact that it’s horizontal means it doesn’t really need to be bolted or clamped anywhere, as long as you have the space to use it. The design is simple enough that you’ll be stuffing sausages from the get go and you’ll find very little, if any issues unless you’re doing something wrong and even those mistakes are generally easy to solve thanks to the beautiful way this machine has been designed. 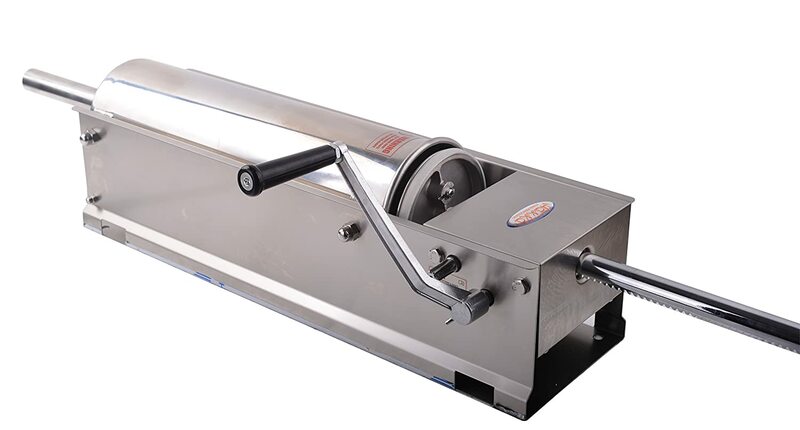 Thanks to its design, roomy canister and general ease of use, this machine is wonderful for stuffing large quantities of sausage, which makes it ideal for restaurants, stores and maybe even people who really love sausages, though it might be a bit of an overkill for your average home. Talking about overkill, the people at the factory are a little…overzealous when it comes to oiling this machine so receiving a machine practically leaking oil is not uncommon but it’s hardly a problem, as a trough cleaning (or two) will fix this in no time and then you’ll have a high quality and very reliable stuffer in your hands. Yes, this model is probably one of the most expensive ones in this list but also a fantastic choice for anyone who’s planning on stuffing a large number of sausages frequently, so if you fit that description make sure to check it out. We’re closing our list with another meat grinder with sausage stuffing abilities, meant specifically for those of you who already know how to grind meat and are looking for ways to step up their game. 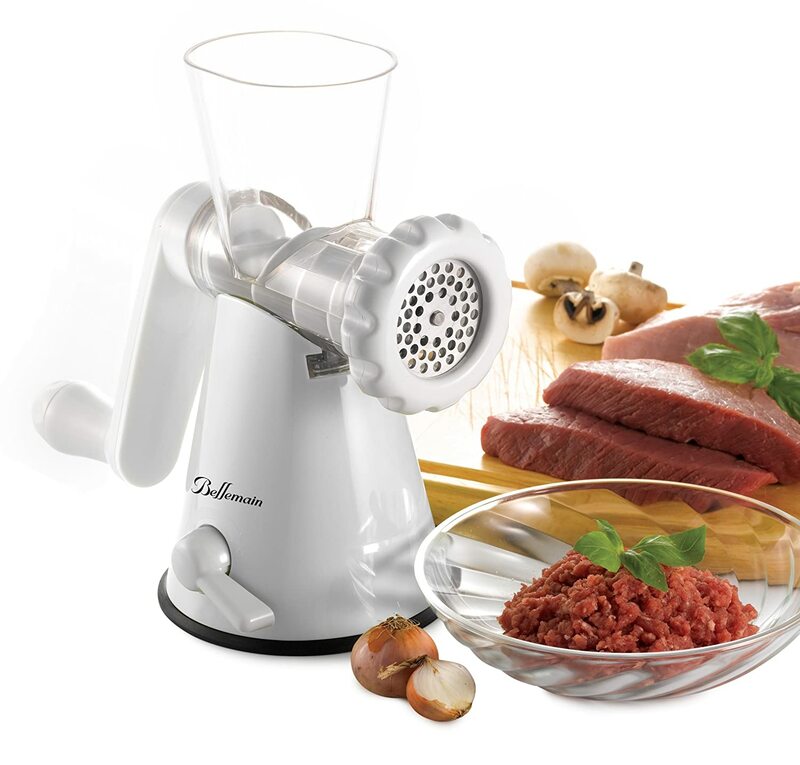 Made with high quality aluminum, this unit is one of the most reliable and effective meat grinders out there, thanks not only to the variety of attachments, grinding plates and cutting blades but also thanks to the 3 stuffing stubs it comes with. While aluminum isn’t the heaviest materia﻿﻿l out there, this grinder is still quite stable, giving you the weight you need for it to stay in place. It’s very powerful and capable of handling a wide variety of meats, which makes it a perfect choice for those who like stuffing sausages but also want to have complete control over their meats without necessarily purchasing two appliances. It’s worth mentioning that, despite its power, this machine isn’t good at grinding bones, which is what you’d expect from a machine with its price label. Doesn’t work at all with bones. Functionality doesn’t have to give up stylishness and this sausage stuffer is an excellent example of this. Equipped with four different stuffing nozzles, which gives you a lot of control over the thickness of your sausages, this is one of the most versatile machines out there. It’s also quite lightweight and relatively portable, not only because it doesn’t need to be bolted anywhere (just clamped) but also because you can easily move it around. Of course, the portability does rely on its small size but this machine is still large enough to stuff sausages for your entire household. The whole machine is built with stainless steel, except for the stuffing tubes, so you know you have a high-quality product with a guaranteed long-lasting life in your hand. - Stuffing it can be a challenge and takes a while. - It’s one of the most expensive sausage stuffers around. - It comes with rubber feet that can fall easily. If those issues aren’t issues for you, then rest assured this is a safe choice that you’re going to enjoy. Made with sturdy stainless steel, down to the gears. Comes with four different stuffing tubes. Stuffing is fast and easy. This might not be a sausage stuffer proper, but we just couldn’t resist placing it in our list. Sausage stuffing can be quite intimidating, particularly when you look at the large machines used for this process. 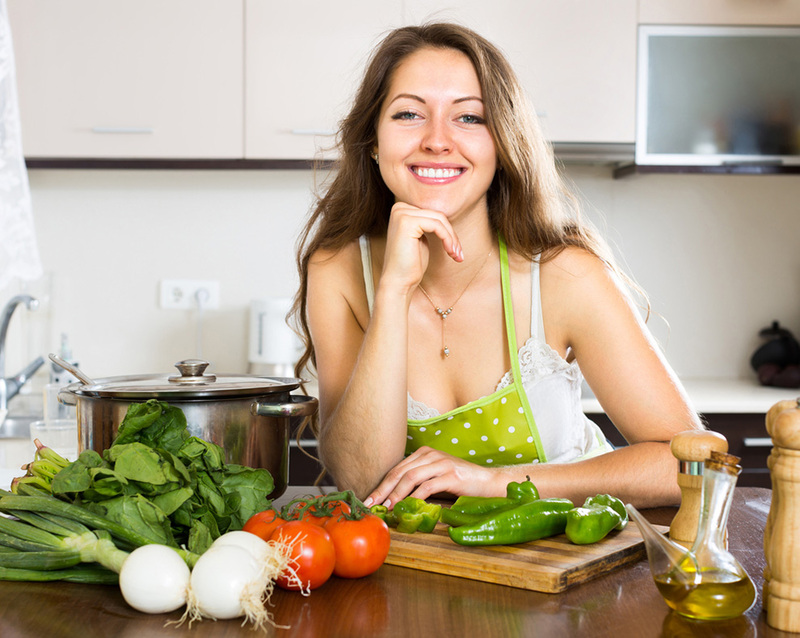 Some people just want to try their hand at sausage stuffing to see if it’s the right hobby for them, and those people are often unwilling to purchase an appliance specifically dedicated to this activity. 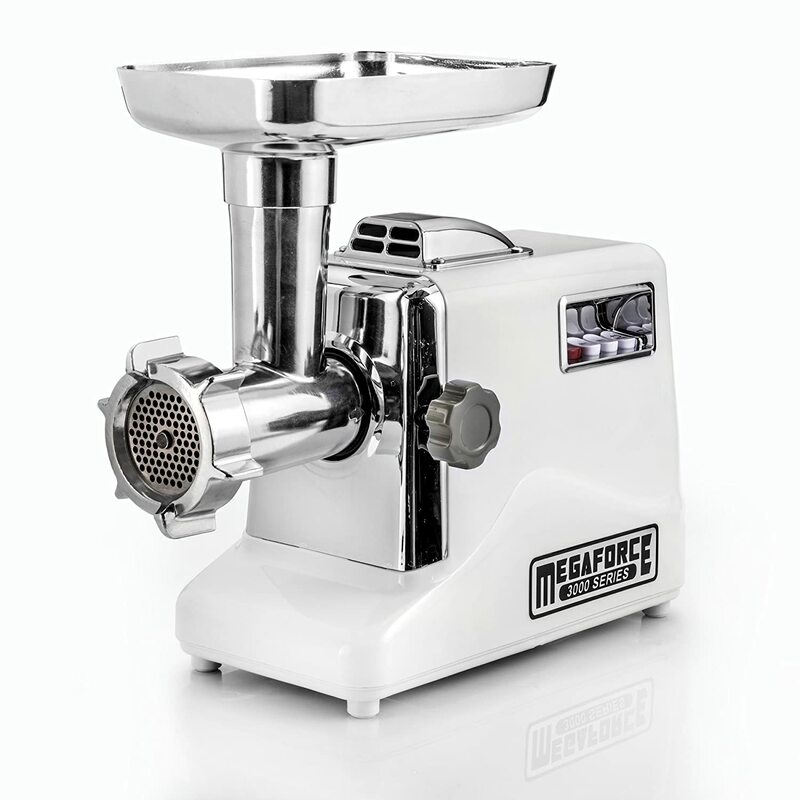 Simple and straight to the point, this meat grinder is a wonderful choice for those who want to stuff sausages but also want to do more. While small, this little appliance works great both as a meat grinder and a sausage stuffing, thanks to its many attachments and plates. It comes with a strong suction base that keeps the grinder from moving when you’re using it and keeps your counters clean and without a scratch. This machine is dishwasher safe and very affordable, perfect for those of you who aren’t planning on stuffing sausages every day. Being a manual meat grinder, there’s a fair amount of elbow grease and technique that goes into using this appliance, both for the meat grinding process and the sausage stuffer, but this machine was made with that in mind so the movements are smooth and the process can be seamless after a couple of tries. Sure, using this appliance will take a lot longer than using some of the ones mentioned here but it’s a wonderful compromise between budget and utility. ​Works with a suction cup instead of clamps or bolts. Takes longer grinding and stuffing than other machines. Can be too lightweight for some. What's The Best Sausage Stuffer? ​As you see on our scores above, the best sausage stuffer is the LEM Stainless Steel Vertical Sausage Stuffer because it has most of the best features that we’re looking for: this sausage suffer has three different stuffing tubes. It's also very fast and easy to clean. 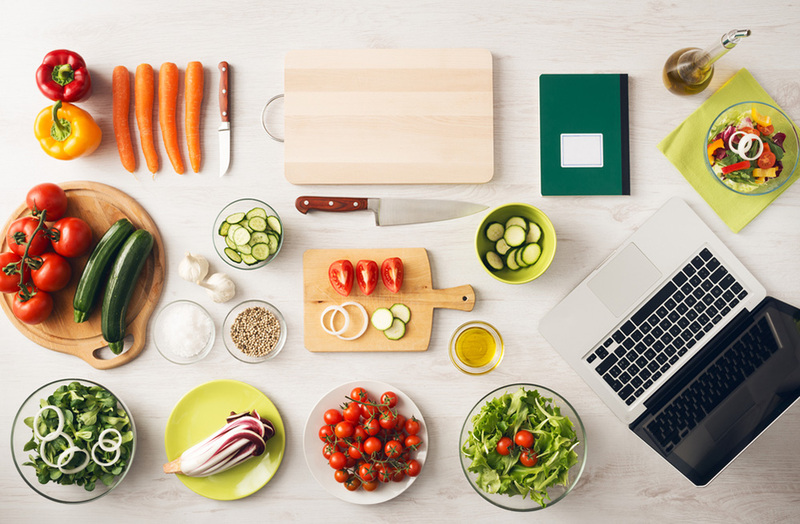 ​If you liked this article, and would like to know more about other cooking tools, please leave your feedback in the comment box below. Until next time, enjoy!